Bertech Anti Fatigue Vinyl Foam Floor Mats with a Textured Pattern are designed to reduce the fatigue and lower the risk of injury to feet, knees, and lower back. Research shows the negative impact of standing on hard surfaces for a long time on a worker's health and productivity. The products pay for themselves through improved productivity and tardiness. 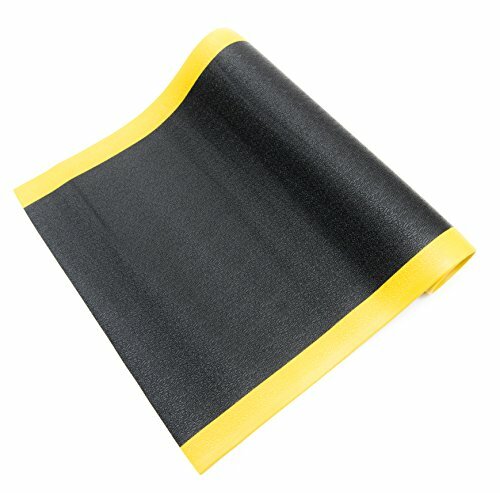 It combines the durability of vinyl foam cushion technology with a non-slip texture for safety in the workplace. This anti fatigue mat has moisture and stain resistant properties that cuts the cleaning and maintenance time by half. These mats are used in the automotive, electronic, medical, and pharmaceutical manufacturing companies. Bertech's anti fatigue mats are also widely used in industrial applications. Mats are 3/8" thick. Made in USA. If you have any questions about this product by Bertech, contact us by completing and submitting the form below. If you are looking for a specif part number, please include it with your message.